Open all year round, the Globe Tour gives you an opportunity to learn more about this unique building and its most famous playwright, Shakespeare. Imagine the Globe as it would have been: the centre of what was once London’s most notorious entertainment district, surrounded by raucous taverns and bawdy-houses. From 25th February 2019, the mezzanine level of the exhibition is shut. A new experience will be offered in lieu in the lower level of the current space that will develop further over the course of the year. 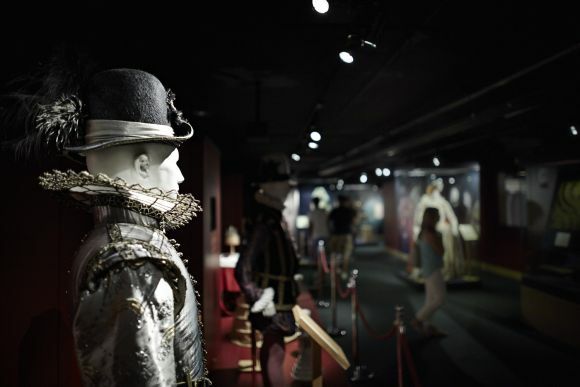 This will continue to offer a thought-provoking and engaging experience with re-imagined and renewed programming including short talks about the Globe, Shakespearean history and insight into Elizabethan London. 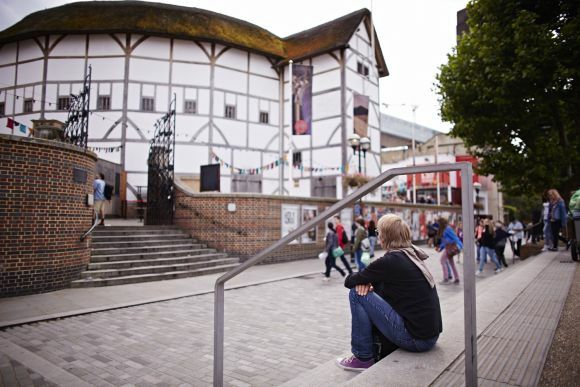 Our Shakespeare’s Southwark Tour and Sam Wanamaker Playhouse Tour will still be part of our guided tours group offering, which adds more to Shakespeare’s story. Exit the station, following signs for the River Thames/South Bank. As you reach the river, head west and the Globe is by the Tate Modern on the south side of the river. Children are from the age of 5 to 15. Kids under 5 go free. Students are 16+ with valid ID. Please exchange your voucher at the Tour Entrance. The Sam Wanamaker Playhouse is an indoor playhouse. The guided tours of both the Globe Theatre and the Sam Wanamaker Playhouse are only in English. 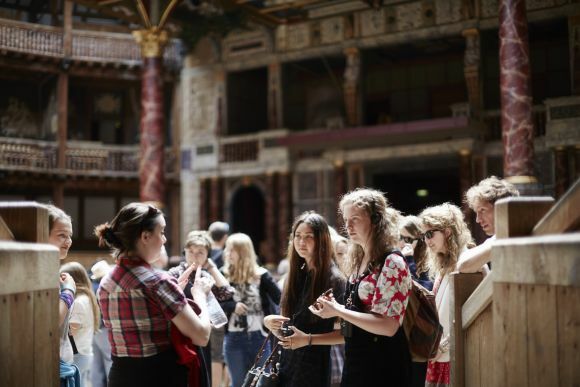 With tours of the Globe Theatre, free information sheets are available in French, German, Italian, Spanish, Polish, Russian, Simplified Chinese, Japanese, Dutch, Korean, Portuguese, Romania, Greek and Hungarian, and these can be picked up on the day of your visit.